About a year ago I sent Tara Moss a link to a piece of writing I did, as I thought it was relevant to something she'd just discussed. I'd admired her writing for a while, excited to see her win blogging competitions. Since that day, she's been incredibly supportive of me and my work. Tara and I haven't met in person yet but we will meet when she comes to Melbourne this month. 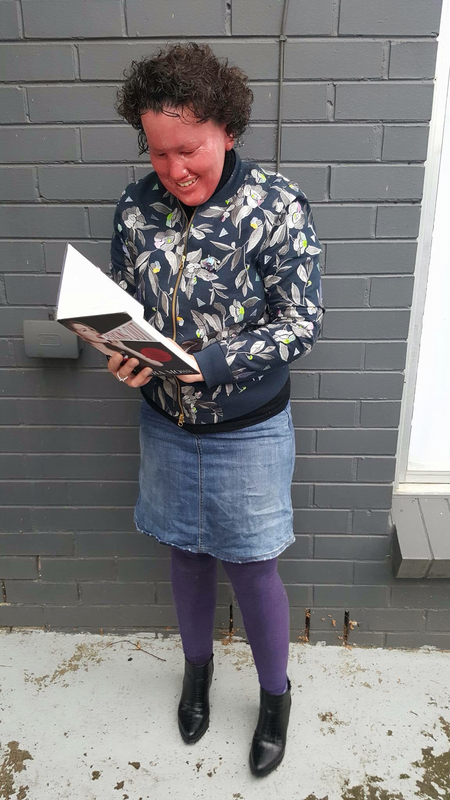 Tara does great work in writing about feminism, speaking out about domestic violence and refugees, and deflecting the criticism received online. Remember when she went to a Syrian refugee camp, and all the comments were about her red lipstick, not the way she was helping people? 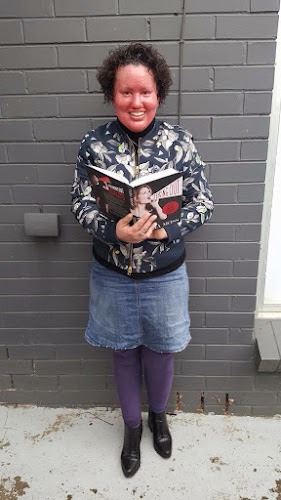 She defended her choice to wear lipstick so articulately. Late last year she asked me to contribute to her new book 'Speaking Out - a 21st century handbook for women and girls'. I was so flattered. It arrived in the mail on Saturday, and I had tears of excitement. 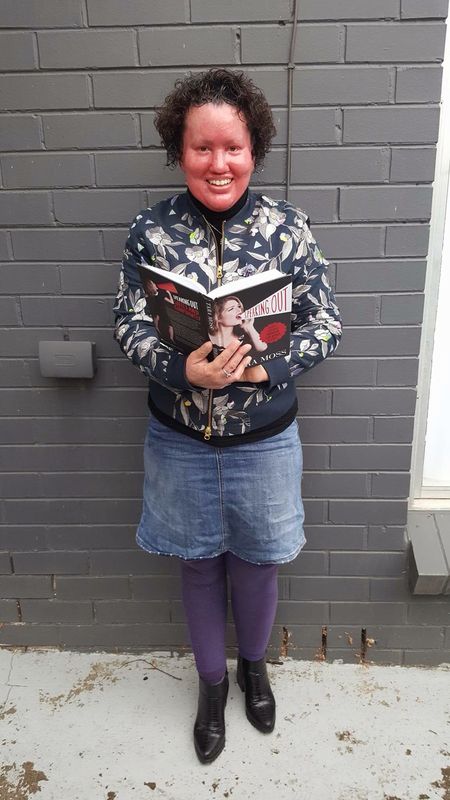 I've had a good flick of Tara's book - it's so well written and researched, and a great resource for online writers and public speakers - and women and girls in all sorts of industries. My piece mentions how hard some criticism of my work can be, and how I manage self care. I speak out a lot - much more now than I ever did. Lately it's gotten me shushed, unfriended, blocked (especially if I mention disability slurs to people who just don't get the impact of them). I try not to let it worry me, but it's hard. 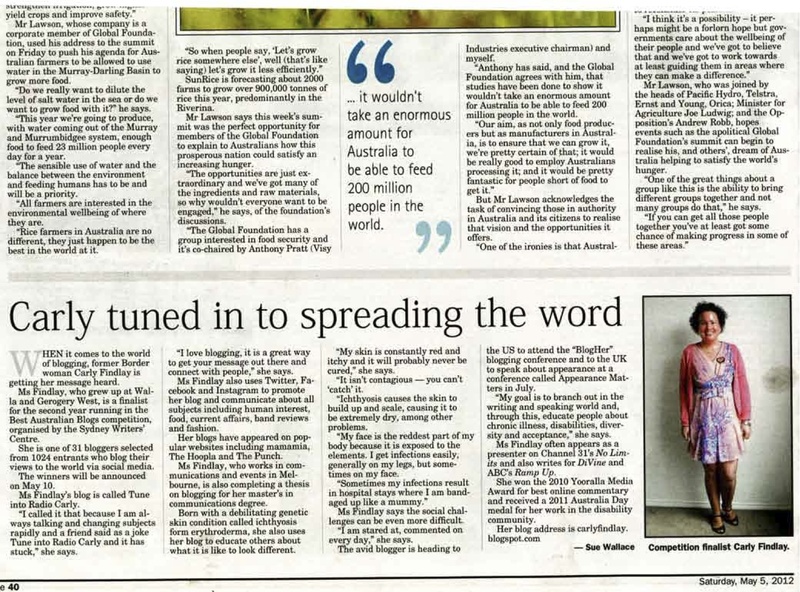 Speaking out has also afforded me contact with amazing, likeminded people, so it's not all bad! Never be afraid to send your writing to someone you admire. Look where it got me! "An accessible and practical handbook for women on speaking out safely and confidently. Worldwide, less than one out of every four people we hear from or about in the media is female, and men outnumber women in parliament by more than three to one. If half of humanity's experiences, perspectives and possible solutions to world problems are under-represented, or entirely unheard, all of us lose out. 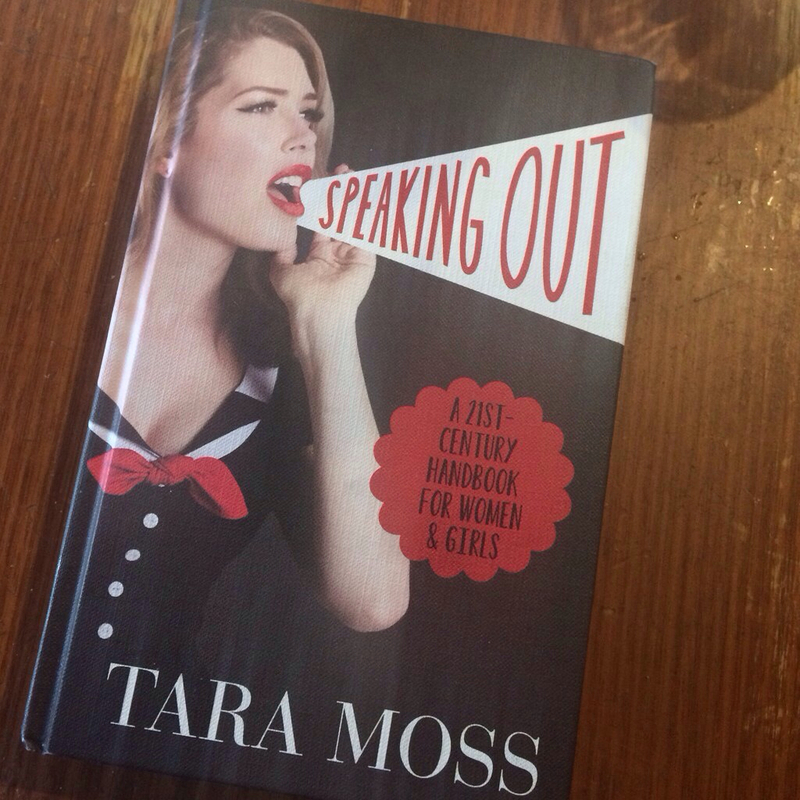 Tara Moss has spent 20 years in the public sphere and has had to face down nerves, critics and backlash to emerge as a leader in speaking out. In this handbook she offers advice on preparation, speaking out and negotiating public spaces. With a special focus on public speaking, writing, social media and online safety, she offers tips on how to research, form arguments, find support and handle criticism. This is a guide for women young and old that not only helps them find their voice, but argues passionately for why it matters." Buy Speaking Out at Booktopia.